India is a country of myriad cultures and even more festivals, some celebrated by people of specific regions or religions, while others celebrated across the country. If you are not familiar with India, it is very important to remember, that it is many countries in one. 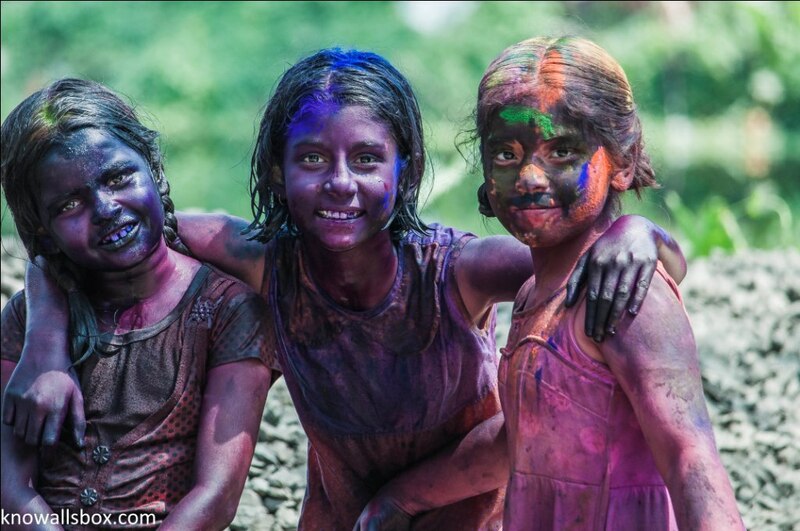 Holi, the festival of colours, is one such festival which was celebrated across the country yesterday. Most popular in the northern part, nonetheless, people across the country enjoy dunking their friends in different shades of colours on this day! It is a festival celebrated by both old and young, rich and poor, men and women. 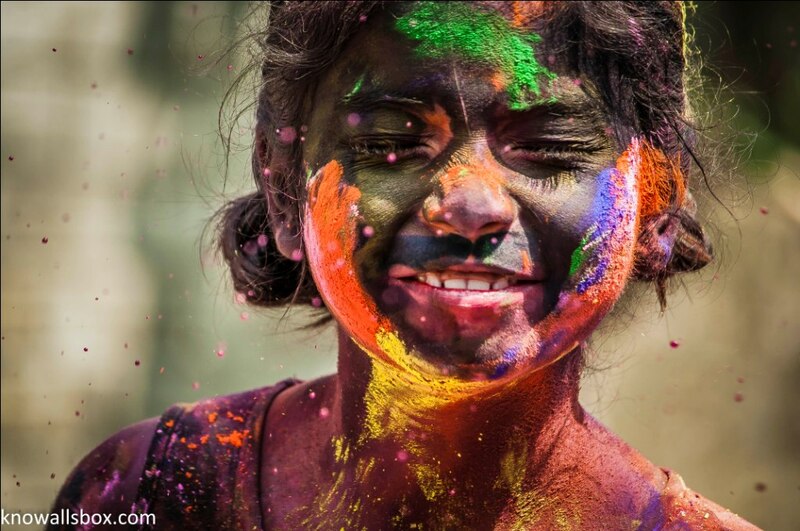 Hence, the title – Uniting Colours of Holi. 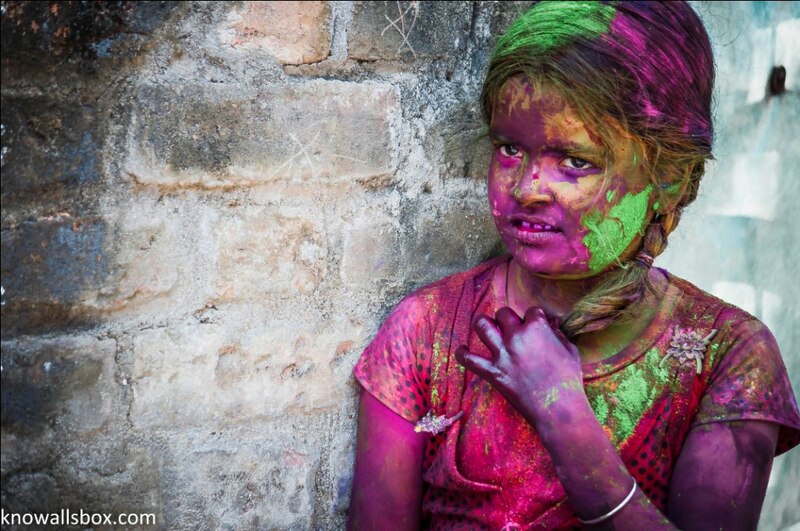 As with most Indian festivals, the origin of Holi is also steeped in Hindu mythology. 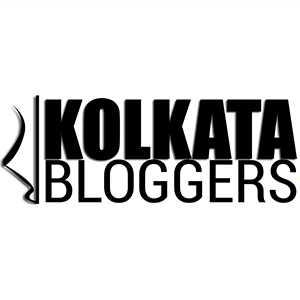 If you are interested to learn more about it, you can check out my post published during last year’s Holi. 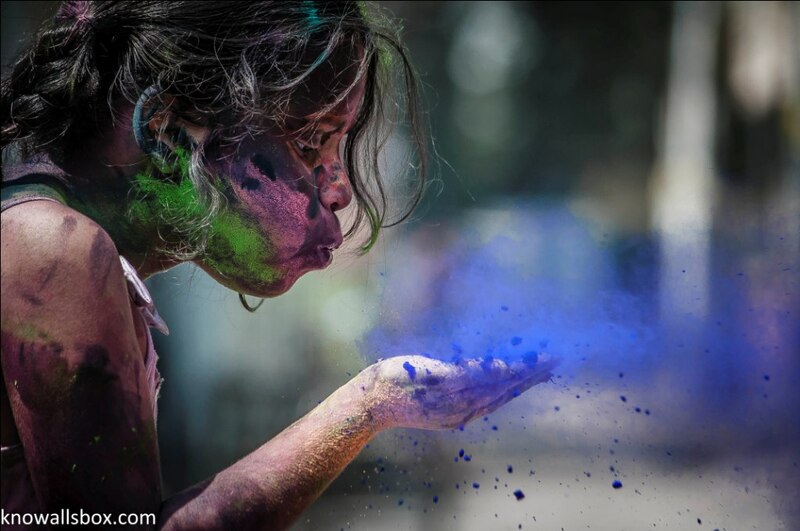 But, I would like to believe and hope that the festival of Holi goes beyond mere religion, and is, in fact a great unifier. It is a major risk to photograph something whose main ingredients are water and powdered colours, the greatest enemies known to photography gear. Some more photographs, assuming you liked what you saw in the gallery! It looks a trifle messy, but very beautiful. 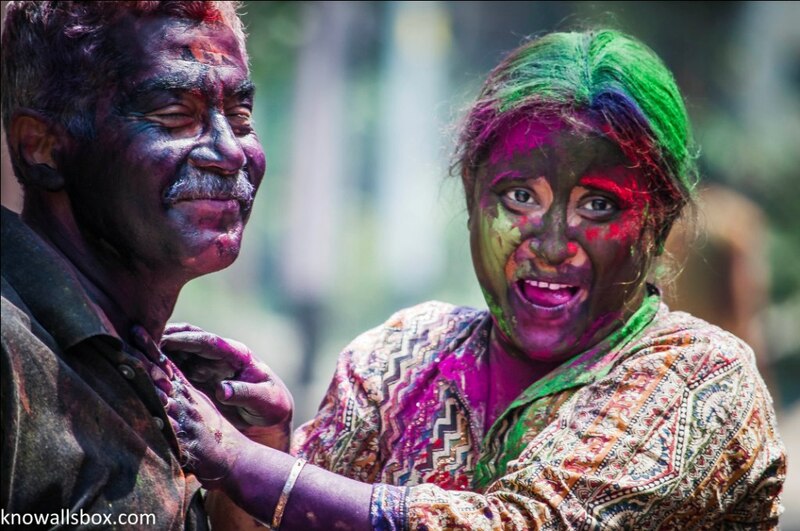 I’m wondering if I will ever have any one of my own Holi shots someday! Nice stuff! Your colour pics are brilliant! A big smile of this face over here! Happy people are beautiful, great shots! Wonderful shots! -especially your close ups (I find the one of the girl staring directly into the camera just stunning). 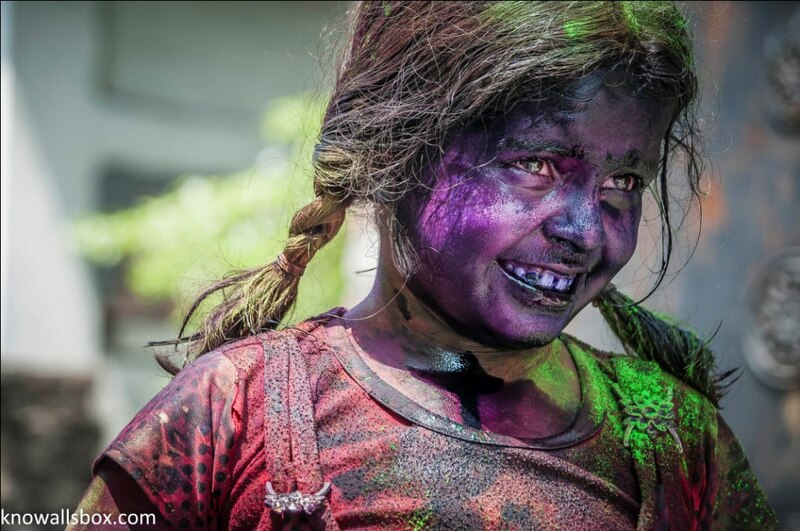 So glad your camera survived the colorful madness- quite worth it! Fantastic images Sayantan. Holi is a great festival. I was lucky to witness and take part of it when I was in Rishikesh. A fun day, but like you mention: a scary day for cameras! 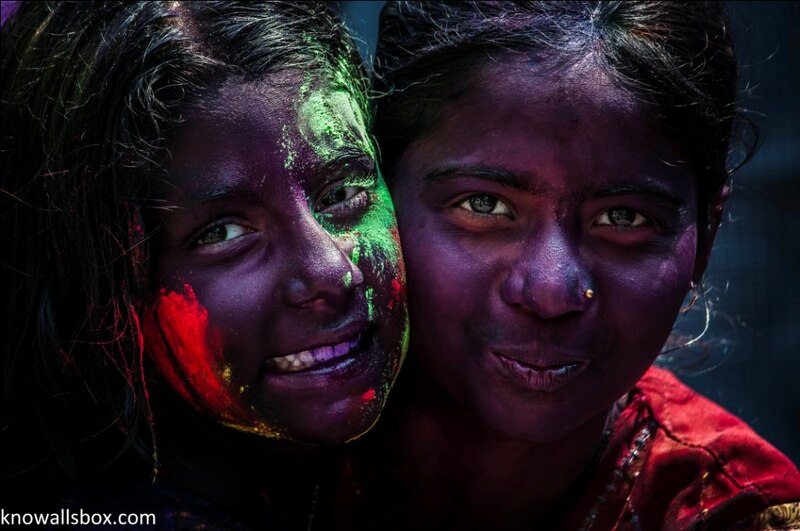 The essence of India lies in its vivid colours. Very skillfully captured. 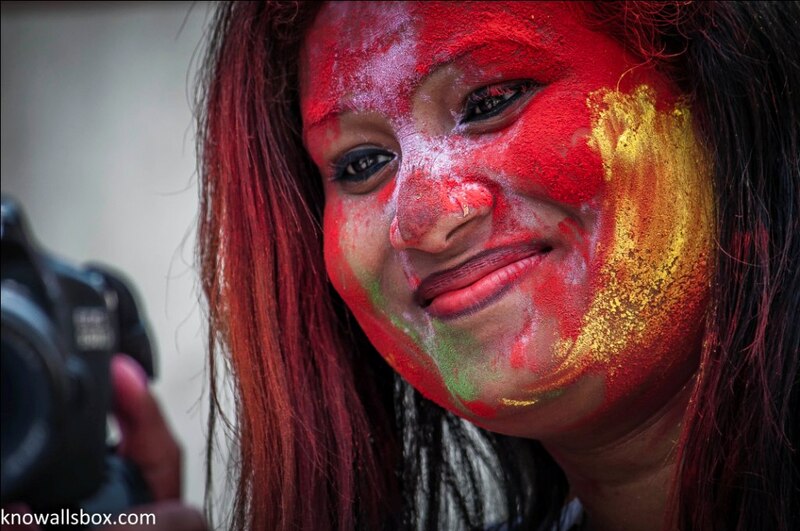 This brought back wonderful memories of when I was at the Holi festival two years back. Thanks for sharing. Your pictures coupled with your writing are a colourful insight to a place that I have never been but would love to go. 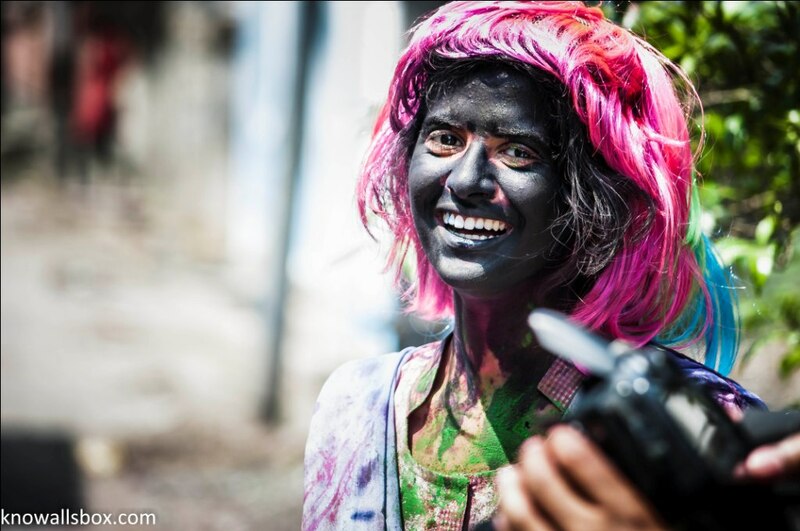 No doubt protective filters would have been a must to take your Holi-photos. Thank you for sharing. Thank you! 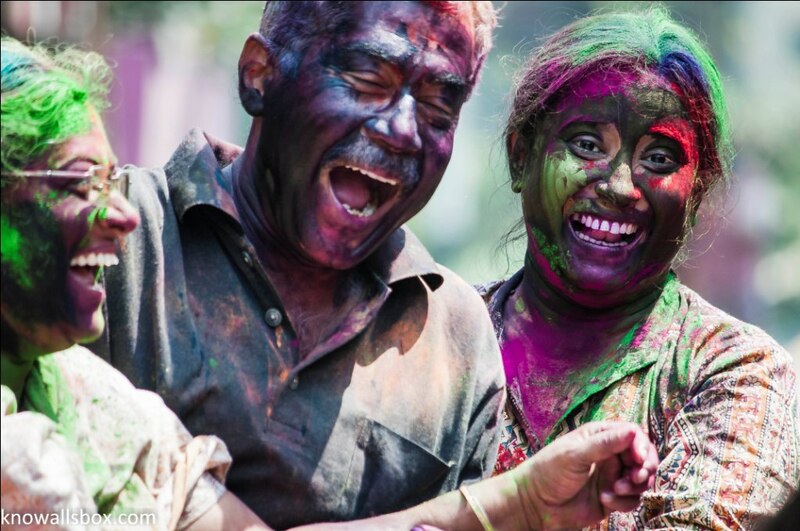 And yes, you should definitely try visiting India once…its a place worth experiencing! 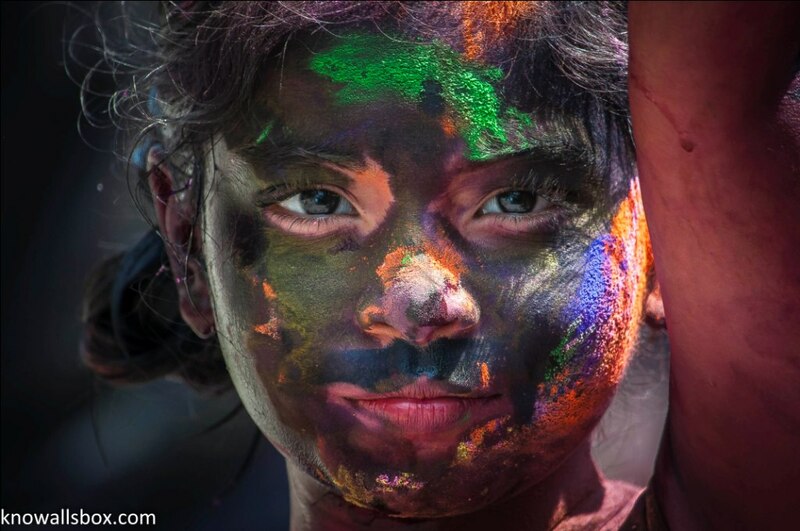 🙂 Wel…for my Holi photos, I only used the UV filter which I always use…the other protection I used was that of distance, using the 55-300mm lens to avoid getting too close to the kids…Are there any other filters one can use? they were awesome photos!! !hail your talent!!! Wow, you have taken blogging to a different level! So engaging! Thank you! My God, You are a GORGEOUS Photographer! 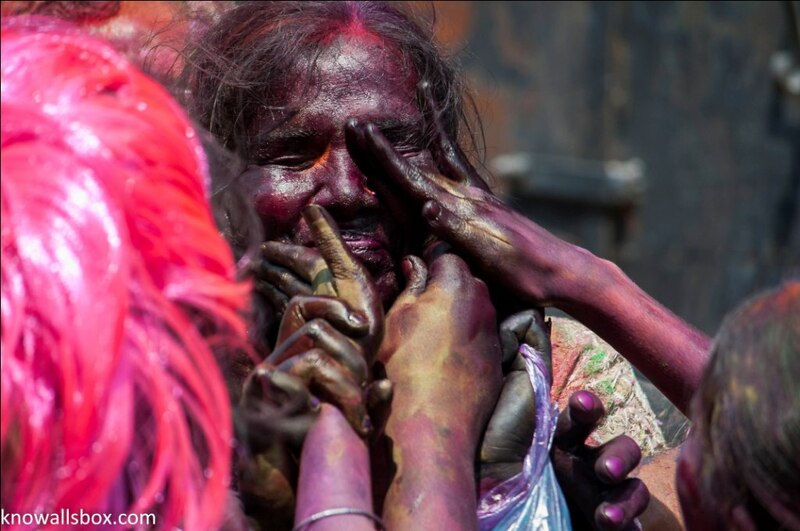 I had the pleasure of celebrating Holi in India last year. Fantastic festival, but never thought of it in quite this way. Now I have to go back to do it all again! Yes, but I went straight through Calcutta and up into Sikkim! Not the home of Holi (I was reliably informed) but we were there with a few guys from Pubjab and apparently they can celebrate Holi like nobody else in India (I was rather less reliably informed 🙂 ). The kids didn’t go but they would love it! That’s what they kept telling us 🙂 . We just stayed in Gangtok, so another place I have to go back to for further exploration! Outstanding. The images amazing and so full of color and life. I was so fortunate to have backpacked in so many remote areas and witness to many local celebrations and customs. I only wish I had captured them. Your work brings these memories back to me. Thanks. Fabulous photos!! 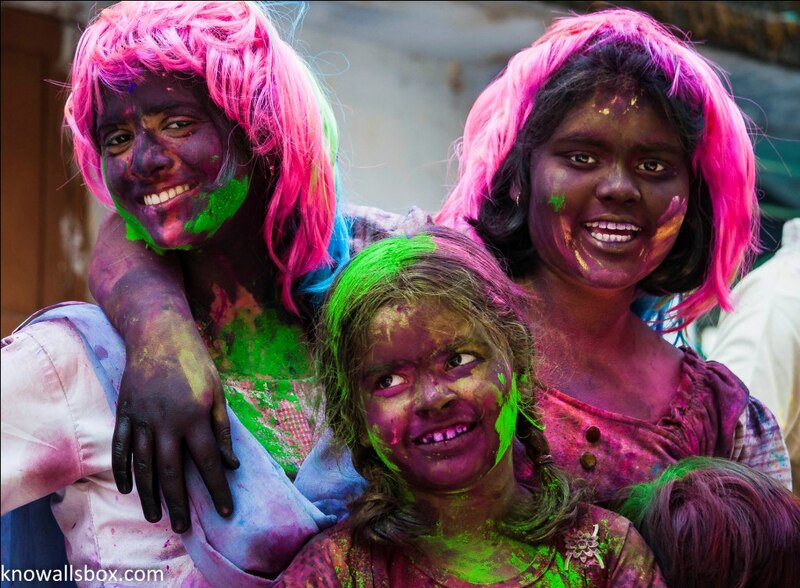 I would love to travel to India during this colourful festival! Lots of amazing pictures here. You did a great job capturing them! Its beautifully captured, especially the faces of the children. Did you create the collage in the first few photos or did WordPress automatically made this? Regardless, beautiful shots! You have captured amazing pictures!